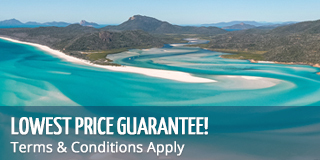 Atlantic Clipper Whitsundays and Nomads Fraser Island 4D3N combo gives you 2 days in the Whitsundays and 2 days on the beautiful Fraser Island in one package deal! This is one of the most fun ways to spend 4 days in Australia, where you will get to see the best of the Whitsunday Islands in the Great Barrier Reef Marine Park and the world's largest sand island. Atlantic Clipper is the largest and most fun boat in the Whitsundays! This famous 2 day tour is known for its party scene, with a hilarious crew, fun itinerary and evenings full of games and socialising. This is the right tour if you are someone who loves to meet new people and spend your days full of activity and nights full of adventure. Atlantic Clipper not only takes you the top spots in the Whitsundays, but it also has snorkelling, waterslide, an onboard spa, paddleboards, air conditioning and the huge added bonus of onboard scuba diving! Both intro and certified divers are welcome and with an instructor on board, you can rest assured you will feel safe and confident during your time under the waves! 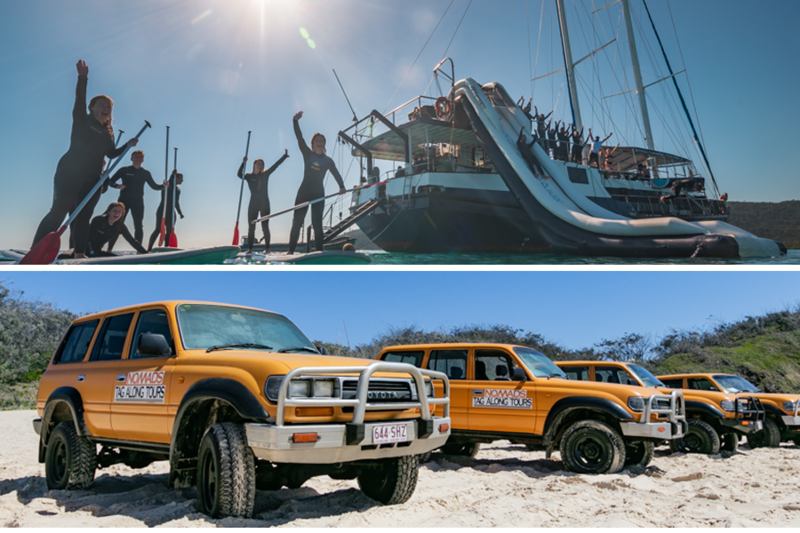 Nomads 2 day, 1 night tag along tour of Fraser Island is a great way to experience Fraser Island if you are short on time but still want the full Fraser experience. With Nomads, you will get to enjoy the thrill of making your way around the island in your own 4WD, taking the opportunity to drive on the sand highway! Following your lead car around the island, you will get to visit iconic destinations such as Eli Creek, Lake Mckenzie and Maheno Shipwreck, plus more! You are your group will spend your evenings at Eurong Beach Resort in comfortable dorm-style accommodation to refuel for another day of adventure! Join Nomads for a whirlwind 2 days and 1 night to one of the most beautiful parts of Australia. This social tour is a great place to meet other travellers and have a fun and memorable experience on one of the most unique islands in the world. Book your package today.